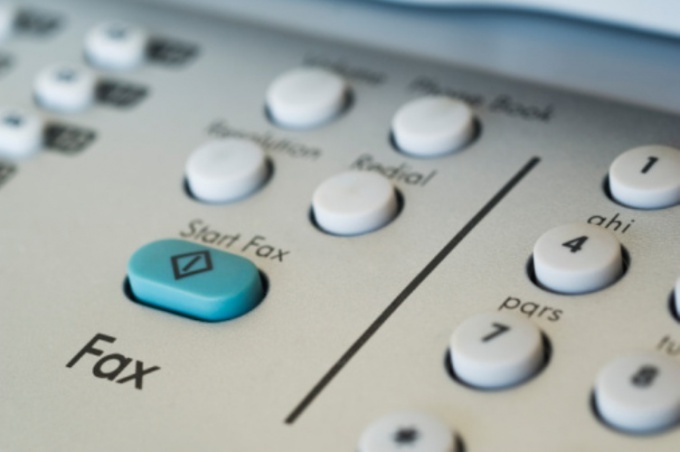 Every employee in workers whose responsibilities include sending faxes, you must be able to insert paper in the Fax. To insert the paper in the Fax machine, in addition to the apparatus at hand it is necessary to have a roll of Faxpaper and th scissors. Remember that the paper must meet all of the characteristics of the machine. Otherwise, the print quality will not be sufficient. Furthermore, the use of unsuitable paper may lead to rapid wear of the head Fax. A roll of Fax paper and scissors. To insert paper, the first step is to open the Fax. To do this, click on the side on the right side of the machine. When this button is pressed, the lid opens automatically. To insert a new paper, you must first remove the remnants of the old that are left inside the unit. It is an empty core, which must be removed and thrown out. Take the new roll of paper. Since the Fax uses a special thermal paper where the heat-sensitive layer is applied with only one hand, it is very important to correctly insert it in the Fax. In the correct position the coil lies on top of the paper unwinds in the direction of him who holds it. Usually coils are sealed with glue or tape. To avoid getting glue in the Fax machine, before you insert paper in the machine, from the start of the roll to cut off a piece of paper that contains the glue residue. It is approximately 15 cm, i.e., half a standard sheet of A4 paper. Now you can insert the paper in the Fax. To do this, locate the tiny hole for it above the thermal head (long, round cushion), insert the edge of roll and pull the paper from the Fax machine. Please note that the paper must be properly inserted – it should not SAG or be too strongly stretched. Close the cover of the Fax by pressing it from two sides until you hear a click. To make sure that everything is done correctly, click on the "Start" button. Fax should display a message on the machine is ready to work. If the message does not appear, the paper is not inserted correctly. Open the Fax again and turn the roll.